Join the party as Cranleigh Arts celebrates 40 years! Cranleigh Arts are celebrating their 40th anniversary! The venue’s mission is “to enrich, entertain and inspire our community” and over the last four decades they have done just that, bringing a fantastic array of arts and entertainment to Cranleigh. 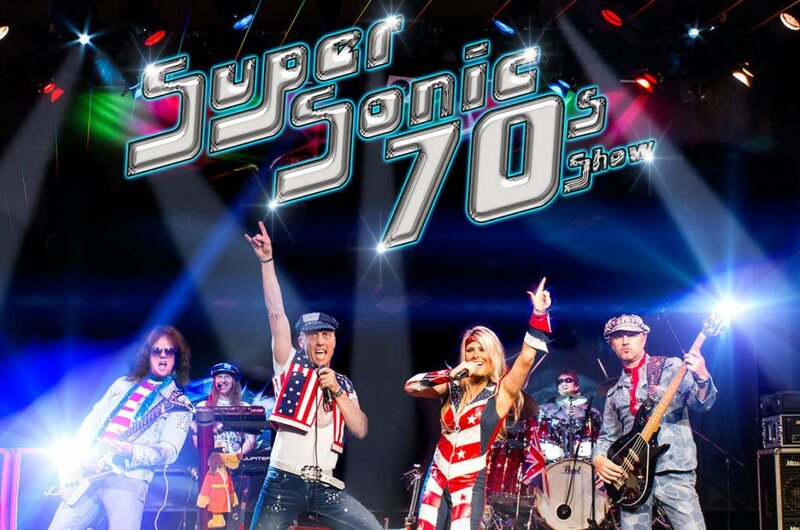 Founded in the 1970s, the charity is celebrating in true 70s style with the Supersonic 70s Show. Tickets for this fundraising event include a meal and a complimentary drink, so come on down on Saturday 18 May, 7pm and join the party! 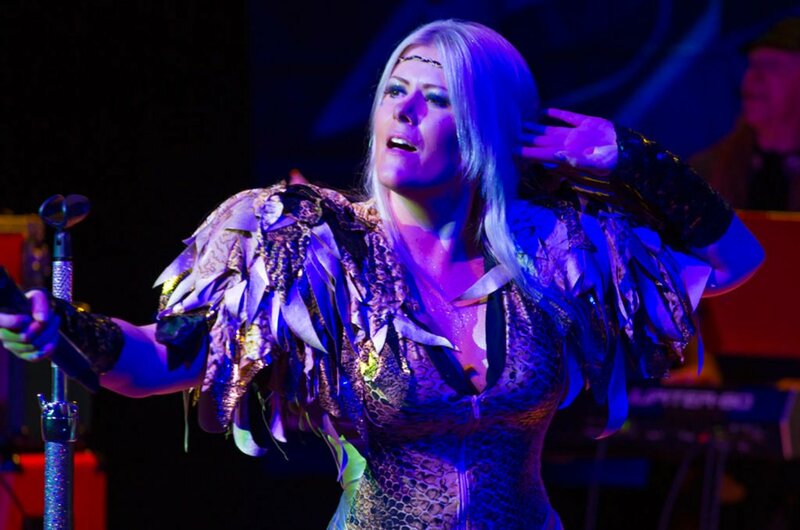 Led by the ‘Catsuit Wonder Girl’ vocalist Janey Bombshell, the Supersonic 70s Show delivers a power packed spectacle guaranteed to get you dancing. With an impressive set list to suit all ages, the emphasis is on great hit songs from this golden era of music. The band will perform some of the biggest classic hits from the 70s! From the towering majesty of Queen, The Carpenters and ELO, the band also perform stunning renditions of chart toppers by 10cc, Wings, Andrew Gold and Donna Summer’s epic ‘Macarthur Park’. From David Essex, Abba, Sweet, Suzi Quatro, Boney M, The Osmonds, David Cassidy, Elton John to Kiki Dee, T-Rex and Olivia Newton John, not forgetting the Bay City Rollers – you cannot help but join in the fun! The band’s highly energetic and visual presentation is completed with genuine 70s costumes with all the glitz and glam you would expect from this colourful era. The audience are invited to come in 70s dress for a chance to win the best dressed competition. A complimentary drink and chicken or veggie-in-a-basket meal are included in the ticket price of £25. The party is a fundraising event in support of Cranleigh Arts Centre (registered charity no. 284186). Cranleigh Arts is a not-for-profit charity and needs your support to continue bringing high quality acts and arts activities to the local stage. above its weight welcoming a variety of household names to their stage. Celebrity performers include David Gower, Jo Brand, Jack Dee, Rick Wakeman and Shappi Khorsandi, as well as Arts Centre Patrons Paul Jones and Julie Walters. From its modest beginnings 40 years ago Cranleigh Arts now has 40,000 customer visits a year hosted by 100 volunteers and is a thriving cultural and entertainment hub. It offers top notch live performances as well as event cinema, film and a huge range of community and arts activities. A new website and ticketing facility makes it easier than ever to find out what is happening and to book. So, join the party on Saturday 18 May 7pm and help celebrate the fantastic success that is Cranleigh Arts. Tickets for the Cranleigh Arts’ 40th Anniversary Fundraiser – 70’s Party are available at www.cranleighartscentre.org and from the Cranleigh Arts box office on 01483 278000.